Gems! Gems! Gems! Who does not love them? How really precious is your stone? How does color and defects of a stone influence its price? There are many classifications of gem stones and minerals, because there too many different opinions on what is what. The definition of a "precious stone" is not objective. It often depends on fashion, demand and portability (note, that demand could depend on anything including the magic qualities of the gem). After reading this article you will be able to get your own opinion on the subject. English mineralogist of the beginning of the 20th century G.Smith stated, that there were 3 the most important qualities of the gem stone: beauty, durability and rarity. Only diamond, ruby, emerald, blue sapphire, pearl, opal and alexandrite could be called the precious stones in that case. Some countries classify other transparent gems that usually have faceted cut as semi-precious as they do not have all 3 qualities at the same time. Other countries use the term "gem" regardless, because stones that were called "semi- precious" before are sold for more than a fine diamond now. You probably have your favorite piece of jewelry with a gem. Take it and look at it. Let's see together what makes this gem so attractive? First of all we notice its color. The magic powers thought to depend on the gems' colors. The color makes the gem attractive, but... is it what we see? All people have their own color perception. It is not easy to describe the exact tint. The light can change our color perception too. What time of day do you wear your gem? Most people prefer wearing them in the evening. Do you know how electric light affects your perception of the gems? Dark red, blue and purple stones loose their beauty. Orange, yellow and yellow-green stones look better. Day light is the best when you need to see the real colors and gem's qualities. Now, we are moving to the "qualities". Many stones have flaws and defects either natural or manufacturing. Natural flaws are cracks and inclusions that often are other crystals, minerals, gases or liquids. They do reduce the price of a gem, but do not devaluate. It is extremely difficult to find a colored precious gem stone with no flaws (if your last name is not Rockefeller). The flaws can add an interesting look to a gem and tell of its place of origin. There is a very good chance that a gem with no flaws is an imitation. Manufacturing flaws are different. It could be wrong proportions of a cut, external fractures, poor polishing. All these flaws devaluate the gems. Be picky when you are choosing your gem, do not let the stones that have any of these flaws into your collection. "Cut", "fire" and "luster" of a gem. What is it? Beauty is another characteristic that affects the gem's price. You can see, that your favorite gem is beautiful. How can you describe this to others? Beauty is color, whether it is invigorating and warm color of a ruby or mysterious color of an emerald. Shape and cut is of a big significance too. They can show the beauty of the stone or kill it. Only a professional gemologist can see if there is an interesting optical effect in the rough gem and choose the cut, that should be individual. Transparent stones mostly have faceted cuts, but if there is a "star" or a "cat's eye" effect then the stone must be cut as a cabochon. How really beautiful is you're stone? You need to know what to look at, so look at its lustre, brilliance and "fire". Lustre is an optical effect produced by the light reflected from the surface of a mineral. Rays of light partially pass through the stone and are partially reflected. So, the brilliance depends on the internal nature of the stone on one hand and on the surface and the quality of its polish on another hand. Look closely at your stone. How well is it polished? The surface should be smooth and shiny. If it is, you will be able to see the most brilliance and lustre that your stone can show. 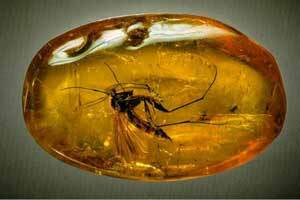 Most transparent and translucent gems have brilliant (adamantine) and glass (vitreous) lustre. What lustre does your stone have? Does it have the same lustre as glass or is it much brighter, like a diamond? 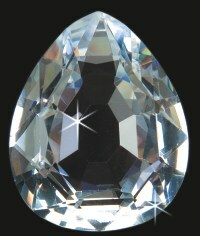 Vitreous lustre is a characteristic of a quartz, sapphire or topaz. Adamantine lustre is a characteristic of a diamond, zircon and demantoid (green garnet). Resinous lustre is a lustre like that of a resin (examples: some garnets and amber). Pearls and moonstone has pearly lustre. Satin-spar has silky lustre. If there is "fire" in a stone it adds it more beauty. Move your stone under the light. Do you see the sparkles of rainbow? Fire is especially important for the colorless stones. Usually the gems judged by the combination of lustre and fire. A cut is chosen individually for each gem in order to enhance them. The most brilliant stones that have the best combination of both are diamonds, zircons, garnets almandine, rubies, sapphires, spinels and topazes. Why it is important to know about the hardness of your stone? Another important characteristic of a precious gem stone is durability. How hard and how tough is your stone? Often people think that these words are the same characteristic of durability of a stone. It is wrong. For example, diamond is the hardest stone on the Earth. Though, it can cleave. Opposite, jade can be easily scratched, but you cannot split it. By the way, all the minerals can be ranged in an order by their hardness. The Austrian mineralogist Friedrich Mohs has created the scale of hardness. He selected 10 common and easily obtained minerals, with quite distinctive hardness, as the comparison minerals. The harder a mineral is, the higher number it has in the scale. A harder mineral can scratch a softer mineral. This is only an order of hardness, but the scale does not show how much one mineral is harder than another. Nevertheless, it is very useful to know about the hardness of your stone. It is considered that only the gem stones with the hardness 7 or higher can be called precious, because they are durable. You might think that this is not the rule anymore in our century of plastic and other jewelry made of disposable materials for one season fashion. Nevertheless, the hardness keeps influencing the prices of the gems. Therefore, the amethyst (with its hardness 7, as it is quartz) is going always be more expensive than the violet fluorite that looks practically the same (except its hardness is 4). Consider the hardness when you are trying to keep your gem stone jewelry in a perfect condition. Put the jewelry pieces with the gems of different hardness into the separate boxes or the harder gems will scratch the softer stones. How much does fashion and rareness of a stone influence its price? So, what else can make your stone attractive? Often we are intrigued by anything that is not that beautiful or useful, but because it is rare. Especially if we speak of rare gems. Synthetic emerald or ruby has the same chemical and physical characteristics as that of a natural stone. 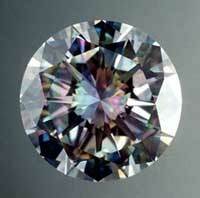 Its color and clarity is much better than those of the most of the natural stones. Nevertheless, any perfect synthetic stone is much cheaper than imperfect ingenious gem, because we can get as many of synthetics in a lab as we like. The thought that the Mother Nature needed centuries to create your natural stone (and an accident brought it to you) influences the wish to have it and therefore the price goes up. Is your stone one of a kind? If not, maybe you have any dear memories that you recall every time you look at it? Is it given to you by a dear person? All this is very individual, but influences the real price. This is why a piece of jewelry preowned by a famous person (or made by a famous jeweler) costs more, than a visually equal piece of jewelry that does not have a history behind it. What else influences the price of a gem? Fashion. Though, this is a temporary variable in the price. Whatever has been in fashion yesterday is going to be forgotten tomorrow. Only few gems are practically not touched by the fashion dictate. You can guess, that they are diamonds, rubies, sapphires and emeralds. Some time ago pearls were rare enough to be beyond fashion. Now the pearls are cultivated and became an "ordinary" gem. Here is another sample of how fashion influences the price. Opaque black crystals of carbonado were used for rock drills, saws and other industrial purposes, until... somebody has made them fashionable. So, now it is being put into the most expensive pieces of jewelry together with the timeless gems. One little note. You probably have your own style. Do you choose your gems so they go with your style and not just the stones that are in fashion? Remember, that your jewelry should go with your style and the places you wear them to. The proper use of your jewelry adds to its attraction and therefore the price. Is a big stone always meaning "beautiful"? Finally, the size of your gem is also very important when you evaluating it. Big crystals are rare, therefore, expensive. Nobody will stay indifferent when imagines a big diamond in her wedding ring. Also, normally very pale stones (such as aquamarine) get more pronounced and deep color when they are bigger. This is why the price per carat is higher for the bigger gems. However, there are exceptions from this "size rule". If a precious stone has a very dark color, then the bigger it is, the darker the color is. For example, a dark-green tourmaline or a dark-blue sapphire will appear almost black. Therefore, the price per carat for such stones is not going to be great. It is very important that the colored stones have a cut, that is the best for their size, so the color is shown the best. I hope, that this article helped you to look at your favorite gem from a new point of view. Use this knowledge (if it is new for you) to wisely choose a piece of jewelry with a stone for your dear people and friends.